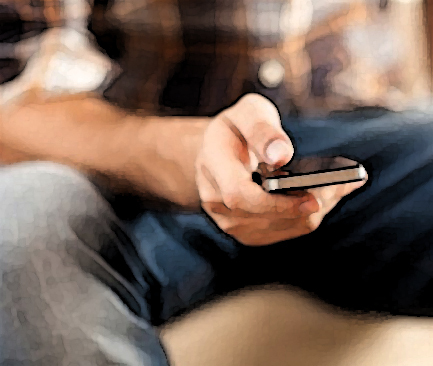 With widespread accessibility of mobile technology, researchers hope a new app may support the wellbeing of HIV-positive youth. A study funded by the National Institutes for Health drew together faculty from across the country, including some from the University of Minnesota, to develop an app – called “Youth Thrive”. The app for mobile devices reminds HIV-positive youth to take their medications. The five-year study is in its earliest stages, and the team will spend the next year developing the app and getting feedback from youth before they launch it at the end of 2017, said Keith Horvath, community health and epidemiology professor at the University. While the project officially started in July, Horvath said it took a few months to get moving. He said the NIH funded two other centers to research technology’s impact on slowing HIV’s spread. The idea for the app stemmed from an earlier program for adult men living with HIV, he said. The original app is already in the field and lets users talk to each other and access specific information about their situation. It also sends text message reminders to take medications. This entry was posted in Features, HIV care, Research, Tech on December 12, 2016 by administrator. Healthcare providers and consumers need HIV-related drug information and, increasingly, they depend on mobile devices to access that information. AIDSinfo is meeting both needs with the release of the AIDSinfo Drug App. Using data from theAIDSinfo Drug Database, the drug app provides information on more than 100 HIV-related Food and Drug Administration (FDA)-approved and investigational drugs. The AIDSinfo Drug App—provided free from the National Library of Medicine at the National Institutes of Health—is available for iOS and Android devices. The information on the AIDSinfo Drug App, offered in English and Spanish, is tailored to meet the needs of both healthcare providers and consumers. The app works offline, ensuring that healthcare providers and consumers can access vital drug information anywhere—even in healthcare facilities that may not have an Internet connection. The AIDSinfo Drug App pulls FDA labels from Daily Med for approved HIV-related drugs. The app also integrates information on drug nomenclature and chemical structure from ChemIDplus. Information from the labels is condensed in easy-to-understand summaries in English and Spanish for consumers. Users can also access information on HIV-related drugs under investigation via the AIDSinfo Drug App. The investigational drug summaries, which are developed from the latest clinical trial results, are tailored by audience: technical, more detailed summaries for healthcare providers and less complex summaries in English and Spanish for consumers. Set pill reminders: Medication adherence is crucial to successful HIV treatment, and the app’s medication reminder can help those taking HIV medicines stay on schedule. Choosing from a menu of alarms, app users can set pill reminders for any time of the day and any day of the week. Bookmark drugs: Busy users can bookmark frequently referenced drugs. No more searching for the same drugs again and again. Add notes: App users can also customize drugs with personal notes. For example, patients can add notes during medical visits; healthcare providers can add relevant information useful at the point of care. Stay tuned as AIDSinfo updates the app with additional features. Visit AIDSinfo to download the drug app to your iOS or Android device. And keep us posted on your experience with the app. We welcome your questions and comments at ContactUs@aidsinfo.nih.gov. This entry was posted in Features, HIV care, Tech on March 16, 2015 by administrator.